Music Everywhere allows you to wirelessly stream all your music from any smart device or computer straight to any connected speaker. With support for both DLNA and AirPlay you can transform your old speakers from wired to wireless, offering you a cost effective solution to stream music from your IOS and Android devices in your home. To get up and running, simply plug Music Everywhere into a wall socket, plug in the speakers AUX cable and then connect to your home Wi-Fi, once this quick and easy procedure is complete you can begin streaming music to that speaker! Music Everywhere also doubles up as a wireless range extender; equipped with wireless N and speeds of up to 300Mbps this allows you to stretch your Internet coverage to those hard to reach areas. Ultimately the ability to stream music from your Android or IOS device straight to your speaker for a fraction of the price in comparison to the latest Bluetooth speakers will ensure you can bring new life to your existing Hi-Fi speakers. Impress your friends and family with this great little gadget and pump some music into your old speakers. 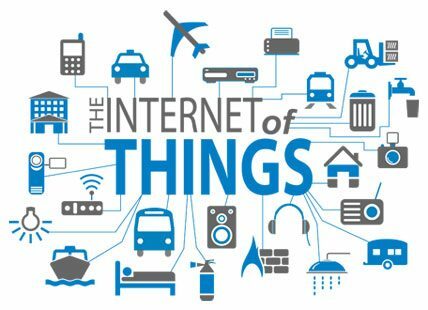 One thing is without doubt when it comes to creating standards around IOT: it will be a good thing. However it will be a very long journey to achieving any agreement or rollout standards, and a major challenge to all involved. This is because two major things need to happen – major industry leaders need to consolidate into one consortium with a clear agreed vision. It’s not just the companies you would normally associate with IoT; it’s any company manufacturing equipment that can be connected – for example white goods and car manufacturers. This consolidation alone will take years. Secondly, there needs to be a tipping point at which user experience will undoubtedly benefit from standards. There will remain a period in which the user experience will not be affected, and until that consumer pressure becomes an influence, many industry players will not prioritise a consortium. There is evidence to suggest that the IT industry is for the first time ever converging with the white goods industry. This however could lead to further complexity in agreeing standards; we may not see an agreed single standard for a while. The question is what do these standards focus on? In the short term, the main concerns will regard app and device interoperability, while also ensuring consumer confidence. Consumers simply do not want to buy the devices that become the modern equivalents of HD-DVD, Minidisc and Betamax. While competing standards exist and battle in the marketplace for supremacy, adoption will always be held back to some degree. Should the consumer really have to fill their smartphone with a multitude of apps to manage the non-interoperable smart home devices in their home? Longer term, it will require a more wholehearted dedication to standards across the industry. Our latest pet monitor, the EyeOn Pet Monitor HD 360, is more than just a way to watch over your pets. As the most sophisticated pet monitor on the market today you can not only watch your pets but also interact with them too, making sure they are well looked after wherever you are, day and night. Whether you are away on holiday and you want to ensure your neighbour is feeding the cats, or you’re out for the afternoon and want to see whether the dog is ok, our pet monitor will allow you to do just that. Pan and tilt capabilities provide you with ability to monitor a large area via the mydlink lite app, available for both IOS and Android. This app allows you to access your camera remotely, allowing you to capture images of live video footage or look back over recordings from the day. The camera also uses night-vision automatically when it gets dark with up to 16 feet of visibility, so you can check in at any time. Ultimately there are many ways you can use the EyeOn Pet monitor HD 360 to make looking after your pets easier. With features such as a temperature monitor, 2 way audio, built in microphone and speaker, 720p resolution and a motorised whisper-quiet pan and tilt, you can keep a close eye on your pets without the often unnecessary worry. 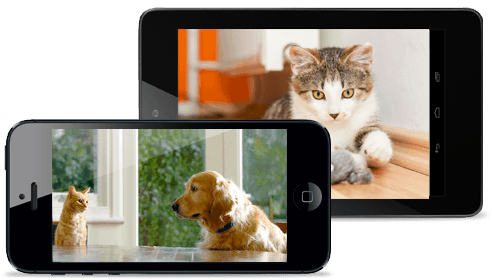 View the secret lives of your pets whilst you’re away and record footage onto the SD card or straight onto your phone to share with friends and family.